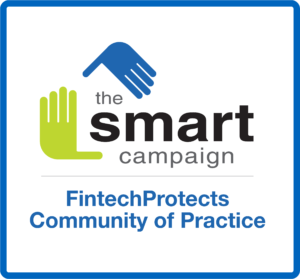 MFR, Smart Campaign and Fintech Protects are conducting field assessments of digital finance service providers that will allow the Smart Campaign to develop standards on what constitutes client protection good practice, and to fine-tune its methodology for certifying various digital finance models. Goal: To conduct field assessments of digital finance service providers that will allow the Smart Campaign to develop standards on what constitutes good practice, and to fine-tune its methodology for certifying various digital finance models. Process: The field assessments conducted with MFR will provide a gap analysis by client protection area, highlight risks, and recommend mitigation measures to fill the gap in best practices for digital finance service providers. Eligibility: Fintechs and MFIs with digital lending functions representing varied business models and geographies. Outcomes: External technical assessment tool, self-assessment tool, investor due diligence tool that complements Responsible Digital Finance Investing Guidelines.